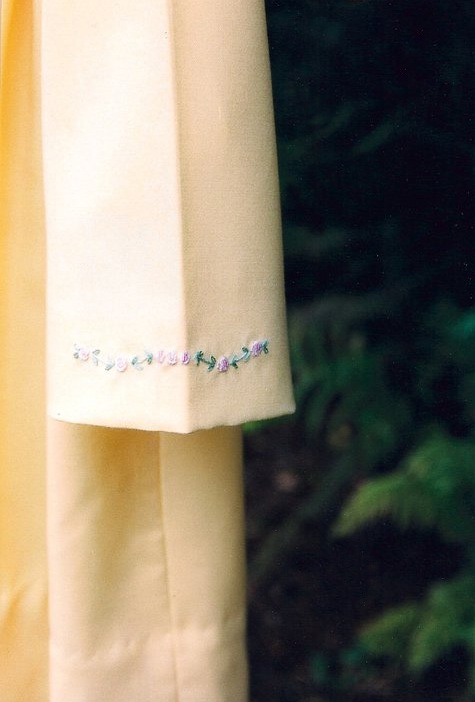 Sentimental Baby began in 1998 as a specialty garment business specializing in custom Christening or Baptismal gowns, First Communion and special occasion dresses featuring hand embroidery, high quality fabrics and vintage laces. Here are some examples of work from this early time. 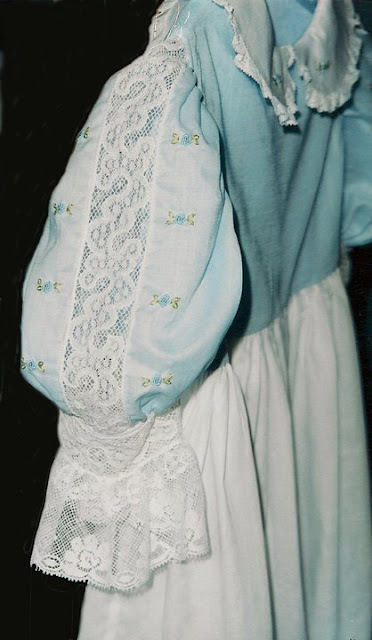 This sweet First Communion gown and head piece were made out of Swiss Nelona batiste fabric, vintage and antique laces and was detailed with hand smocking and delicate silk ribbon hand embroidery. 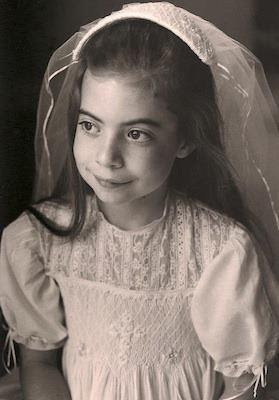 First Communion Dress, photo by Susan Ewbank. Another early example is this special occasion dress showing the front and side sleeve. It was also created with Swiss Nelona batiste fabrics and beautiful antique and vintage laces, and detailed with hand embroidery. Bullion rose detailing on sleeve and collar. 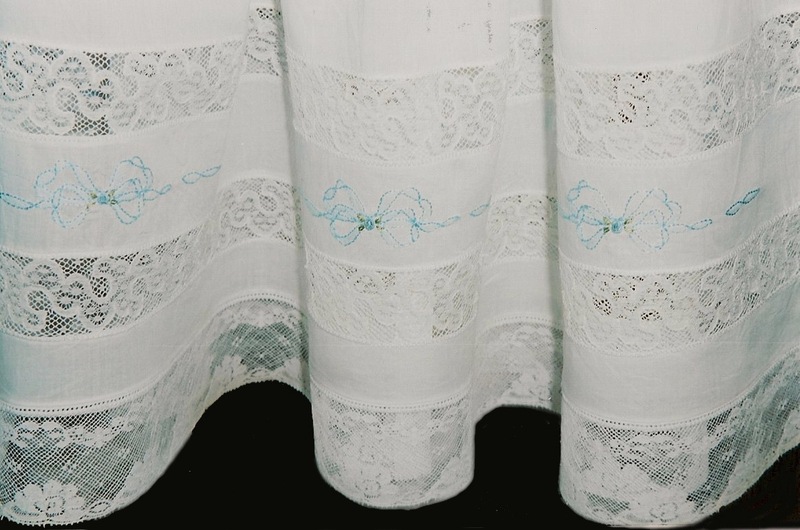 Antique laces and shadow work embroidery at the hem. Occasionally I'd work in either silk or, as in this example, wool. This little coat also features hand embroidery on the collar, the handmade buttons and on the sleeves. 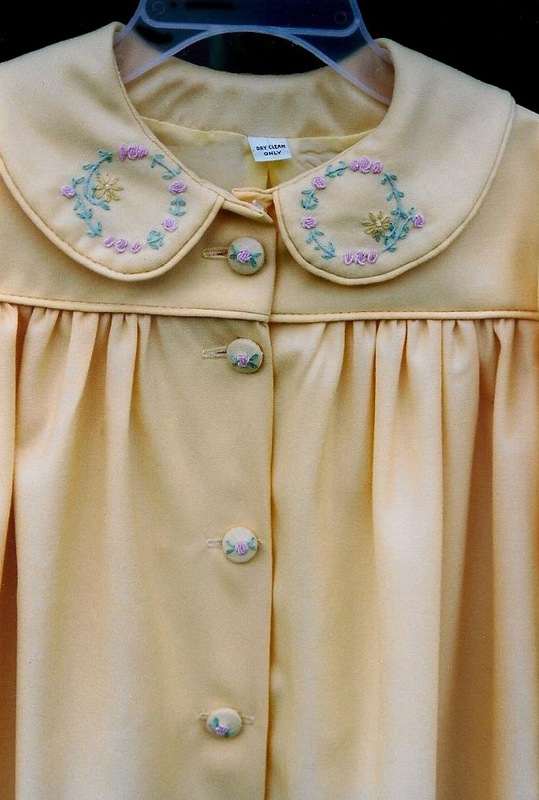 Rose bullion embroidery on collar and handmade buttons.